Cover your phone in Doctor Who and he will protect you. Trust him! He's the protagonist of Doctor Who after all. 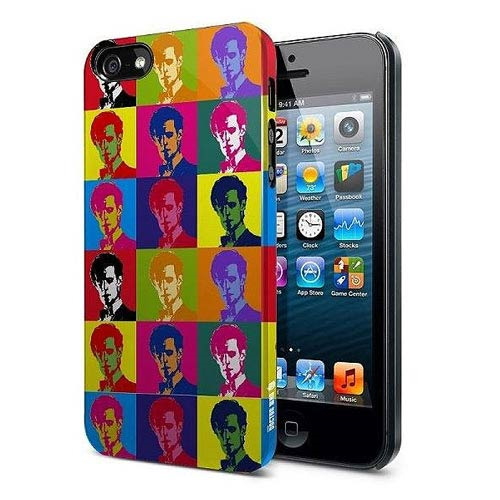 This Doctor Who 11th Doctor Warhol Treatment iPhone 5 Hard Cover has been designed for the iPhone 5 and features the 11th Doctor in a style mimicking that of innovative artist Andy Warhol. Durable and secure, this stylish phone cover simply slips on for easy use with a firm fit for effective grip and protection without bulk. This fantastic case is fitted and you still have access to all of the touch controls and dock connector!